A website www.unjour.uneombre.com (One Day, One Shadow) where everybody can post a picture of his own shadow. A game art, Parallèle, is a part of this transmedia as it represents some of the fantastic worlds of the tale. Odette Ilda et Gasparine is a animation series about three characters that the hero met during his trip. The interactive art installation called Miroir is also a piece of this fiction as this magic miror exists in the tale. A short stereoscopic film called Lume which explains the genese of the tale’s world. 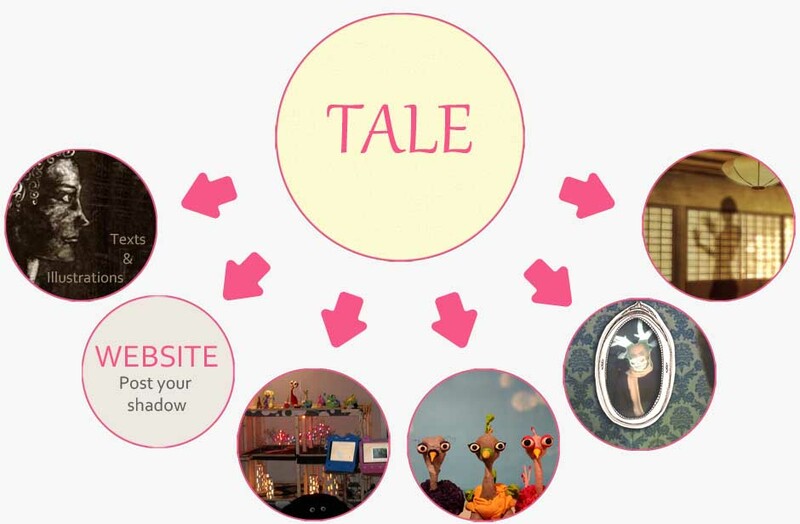 You can observe that this fiction transmedia owns a master piece : the tale “The pink shadow” which preexists and inspires the other creations of this transmedia. So this transmedia is a kind of cross-media called a “transmedia with steadfast master piece“.